I can't believe how slow everything seems to be going this time! I think with the kids crazy busy baseball schedule time should fly but it seems to be doing the opposite. 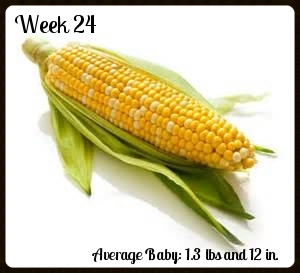 Baby is growing steadily, having gained about 4 ounces since last week. WOOHOO! That puts baby at about 2 lbs. Since baby is almost a foot long, it cuts a pretty lean figure at this point, but it's body is filling out proportionally and will soon start to plump up. Baby's brain is also growing quickly now, and the taste buds are continuing to develop. It's lungs are developing "branches" of the respiratory "tree" as well as cells that produce surfactant, a substance that will help baby's air sacs inflate once baby is outside of the womb. The skin is still thin and translucent, but that will start to change soon. I have been pretty tired and dealing with a lot of pain in my lower vaginal area. I only avoid stuff if the smell makes me feel sick (like pizza with onions). 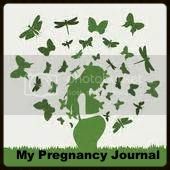 I love reading these journals! They make me remember all my pregger days. They are long gone, but the memories are forever etched.